In this post I will deepdive into the Surebackup networking part. I can imagine that this might be to deep for some people but at least it should serve as a good reference how Surebackup vlab works. But first things first. If you don't know what SNAT, DNAT or Netmap means, I advise you to read my previous post. 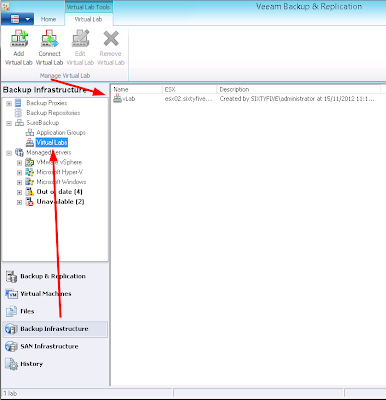 Understanding this post is very crucial for understanding how Surebackup works internally. Even if you know those concepts, I advise you to read the last part of the post describing how to connect overlapping subnet ranges as this is the base for Surebackup. Before I start explaining how to configure everything, let me first start by explaining what our final goal is. 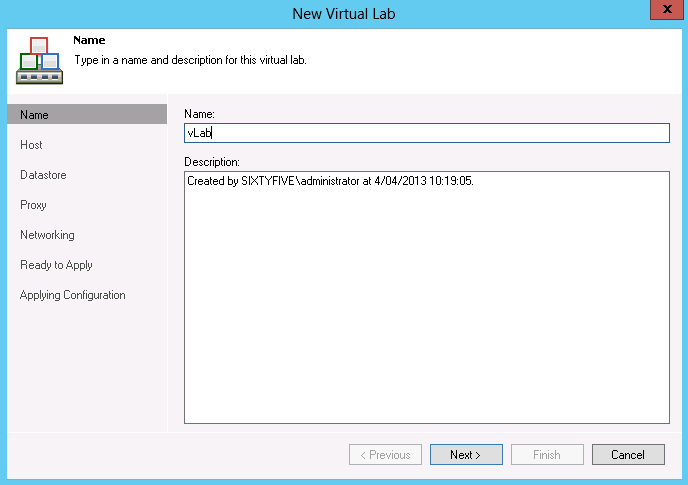 I think 99% of all problems with Virtual Labs occur because users don't know what the final result should be. 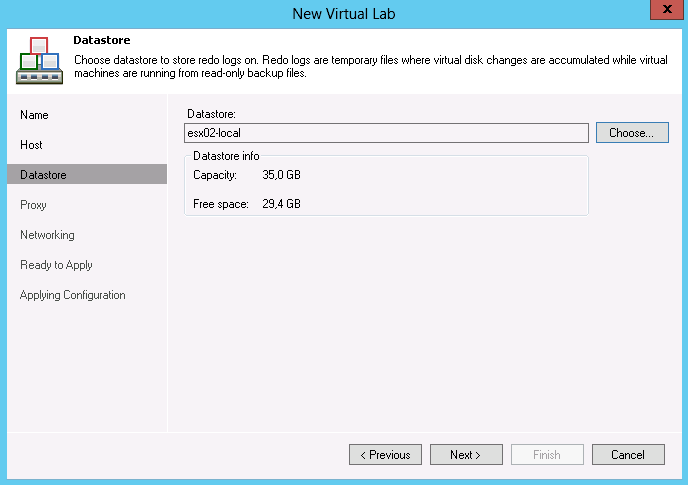 With Surebackup we will start up Virtual Machine directly from a backup in an isolated network. 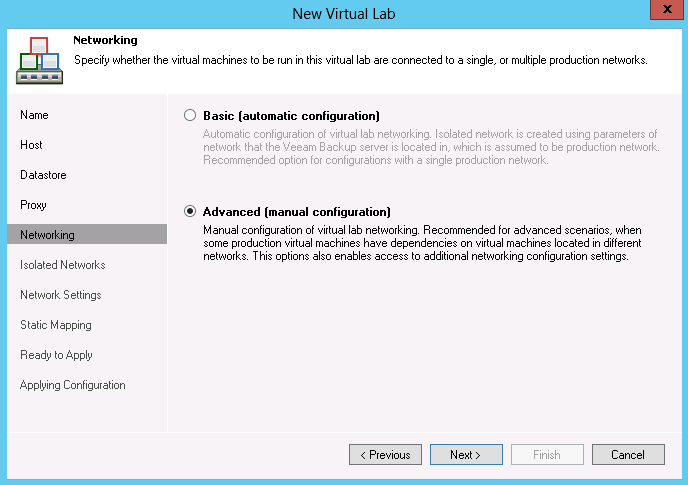 So what is an isolated network? 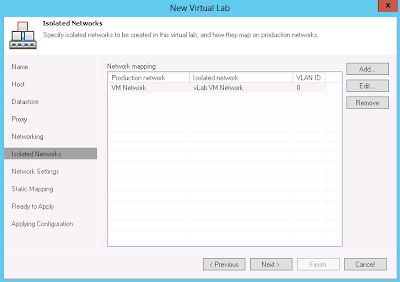 An isolated network is a network that mimics a production network. 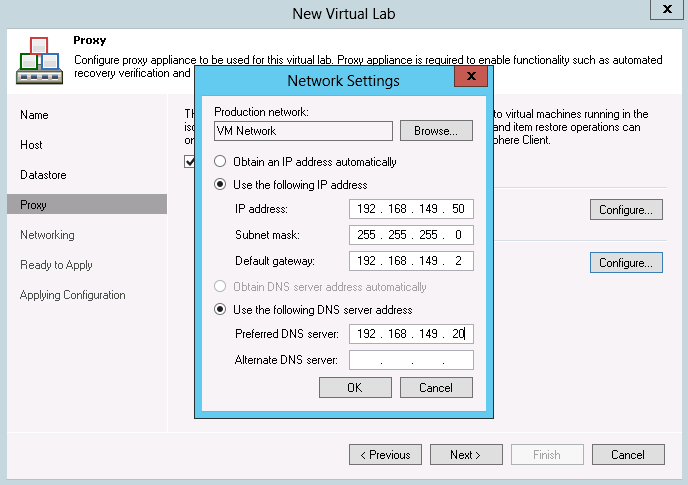 It means that VMs will reuse the same network settings as listed up in our table earlier. 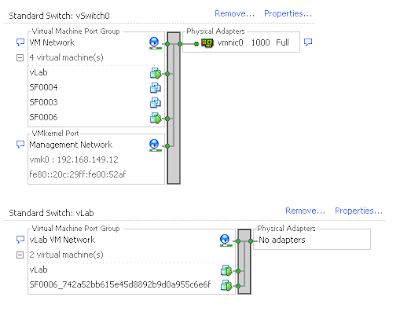 This portgroup or network will be created automatically on a vSwitch without any uplinks by Veeam. You could say that Veeam creates a network sandbox. This is already a great start. 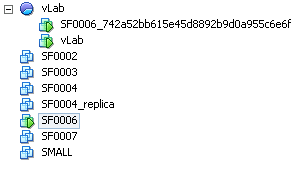 The only thing is that we can not talk to our "SF0006_Backup_Copy" machine as it is isolated. This is where vLab networking comes in to play. 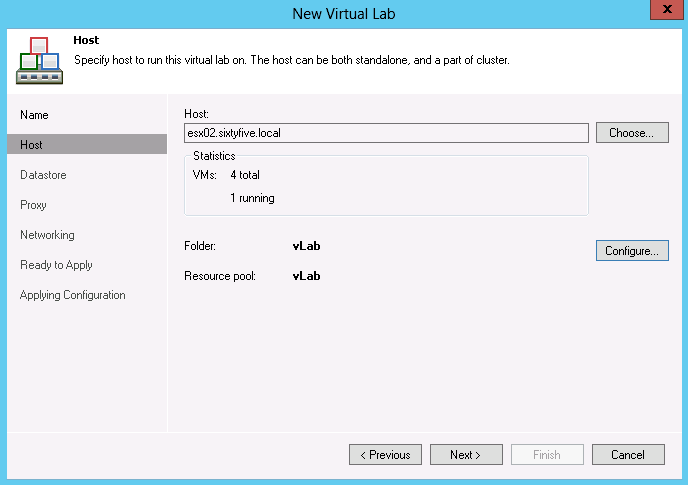 Veeam will deploy a small Linux NAT Router. 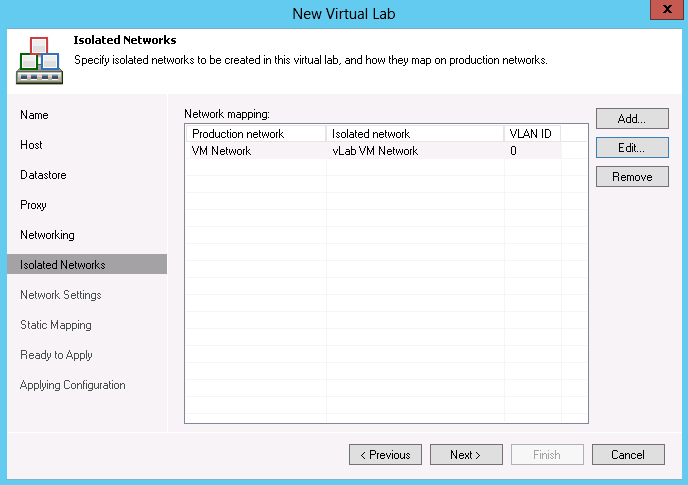 The router will sit between the Production Network and the Isolated vLab VM Network. 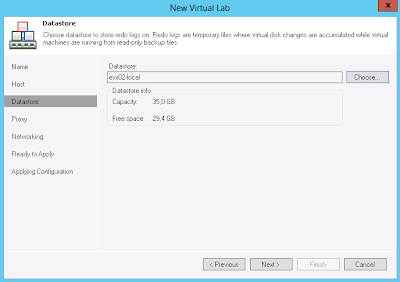 Now if the Veeam server or the production machine wants to talk the backup copy it will just send packetsto vLab router interface 0. 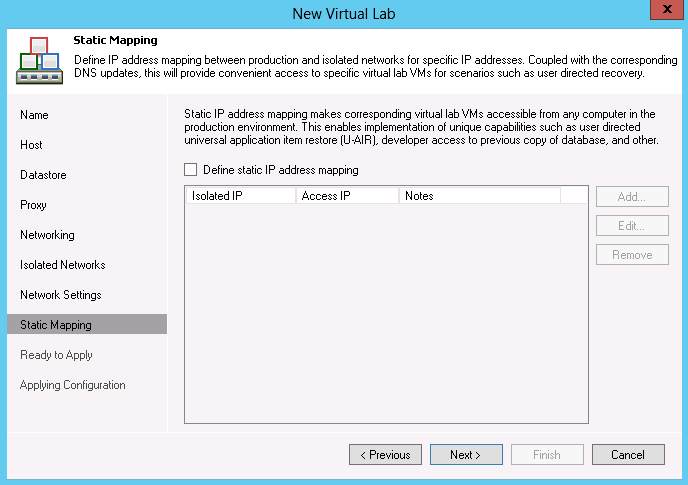 This vLab router can then forward or route the package to the isolated environment. 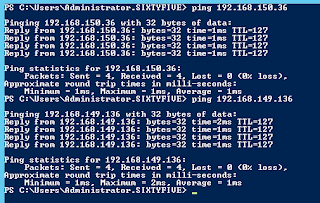 What is more interesting is that you have overlapping subnets. 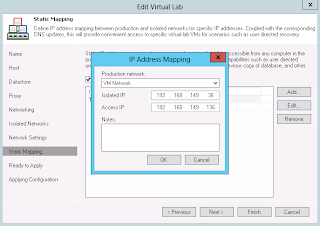 So you will need to do some form of NAT to hide this isolated environment behind another subnet. 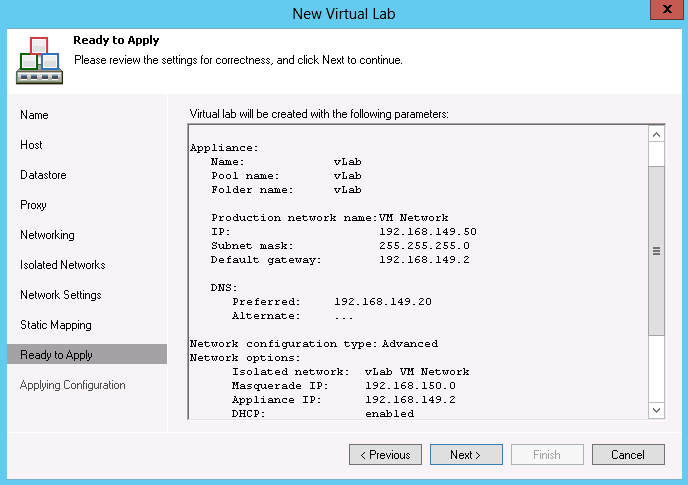 The vLab router is a Linux appliance. 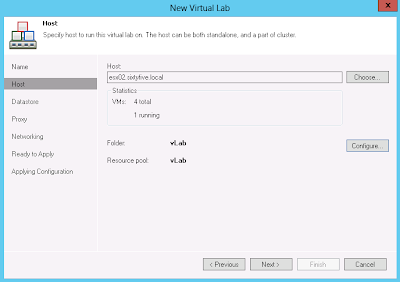 It is a virtual machine so you will need to select a vSphere host where you want to run it on. Important, all the networking is only created on this vSphere host. All the machines that will be test will be powered on on this host. 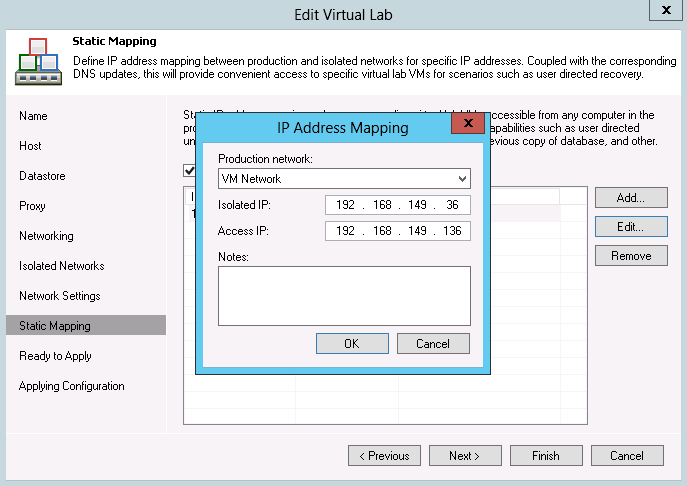 Now configure the router so that it has an IP in your production network. 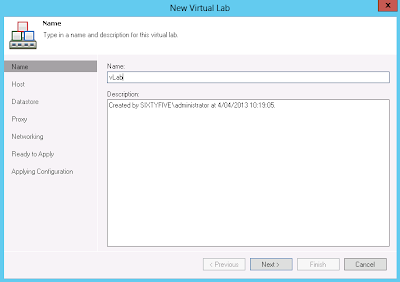 Again this is the free IP we reserved for the virtual machine. 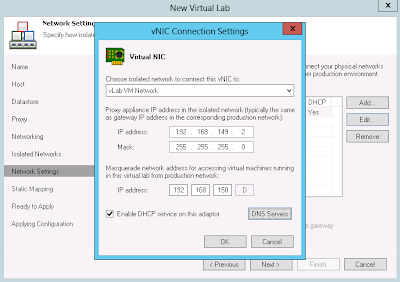 Instead of using DHCP, we choose the static IP 192.168.149.50 . This IP will be set on interface 0 and will be entry point for all packets coming from production. 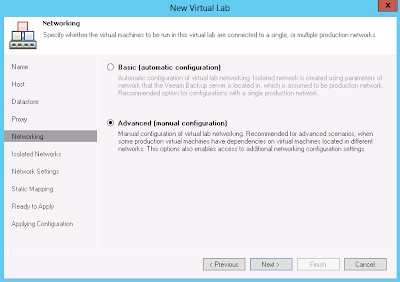 Then in the next step choose manual configuration. If you made it this far, you know what you are doing. Now lets create an isolated network. In our case we only need to mimic one portgroup called VM Network. 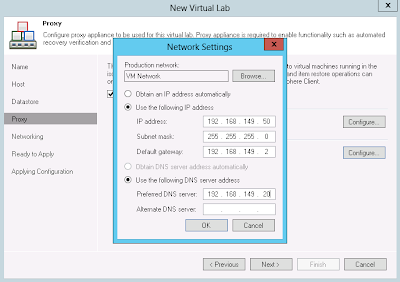 However if you would have multiple networks (Production, DMZ, ...) and you need those to test your VM's, you will need to create a copy or isolated network of each production network . I will show you this in a later post. 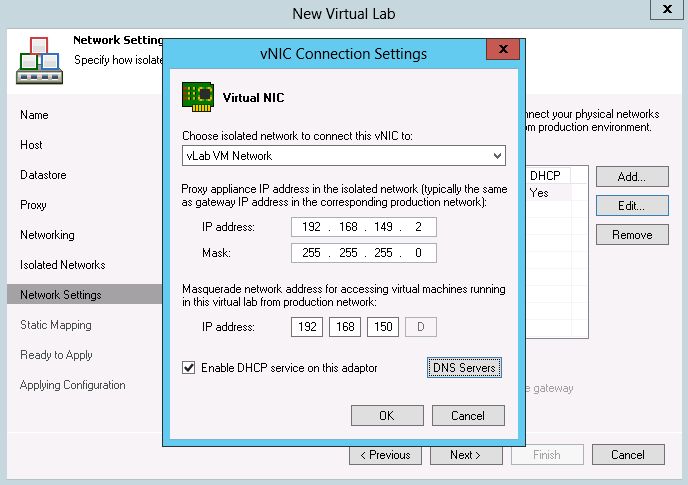 For each isolated network you will have to define a vNIC or interface in that isolated environment. Remember that our Linux router will mimic the default gateway of production. 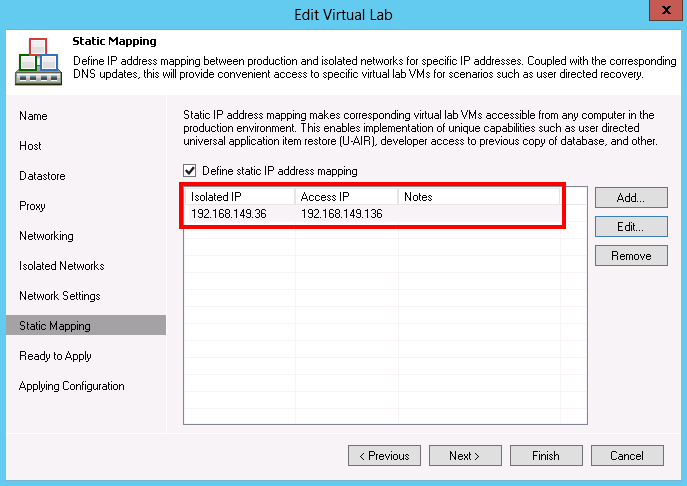 So in the settings for the isolated network vLab VM Network, configure the default gateway 192.168.149.2 of production. 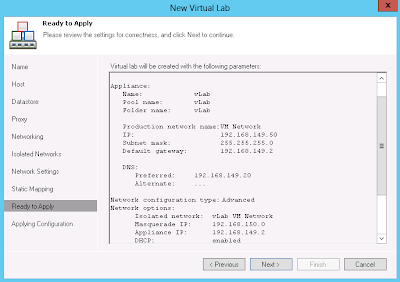 The vLab router will then mimic the gateway in this isolated network. Interesting enough you will now have to configure a "Mask". Basically you will configure a subnet that does not exists in your environment and that will hide away or mask your isolated environment. 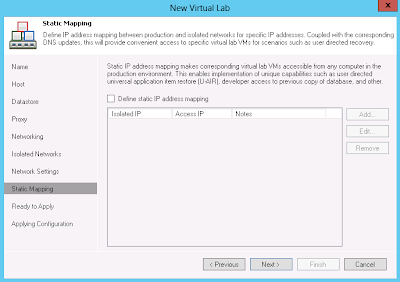 What you are actually doing is creating a NETMAP rule in the Virtual Lab router. I choose 192.168.150.x because I have only one network. However I can not stress this enough, this mask should be unique in your network to avoid problems. Just skip static mapping for now. I will cover it later. There is only one problem. 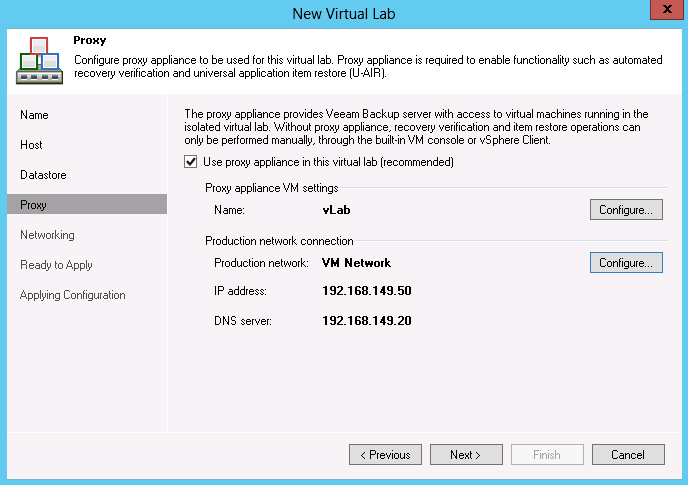 The Veeam Backup Server (VBS) its default gateway is set to 192.168.149.2. 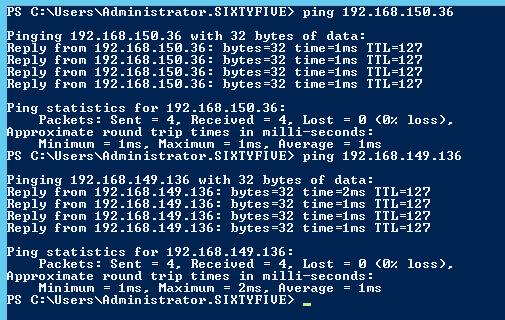 So if it wants to talk to 192.168.150.36, it would talk with that default gateway. 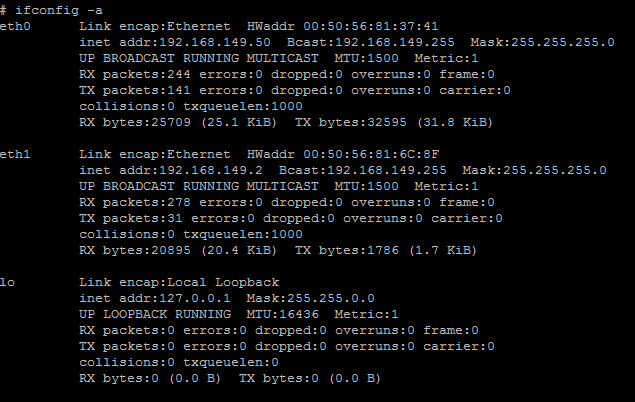 The default gateway is not aware of the situation and just drops the packets. So how do we fix this. Well it is automatically fixed. 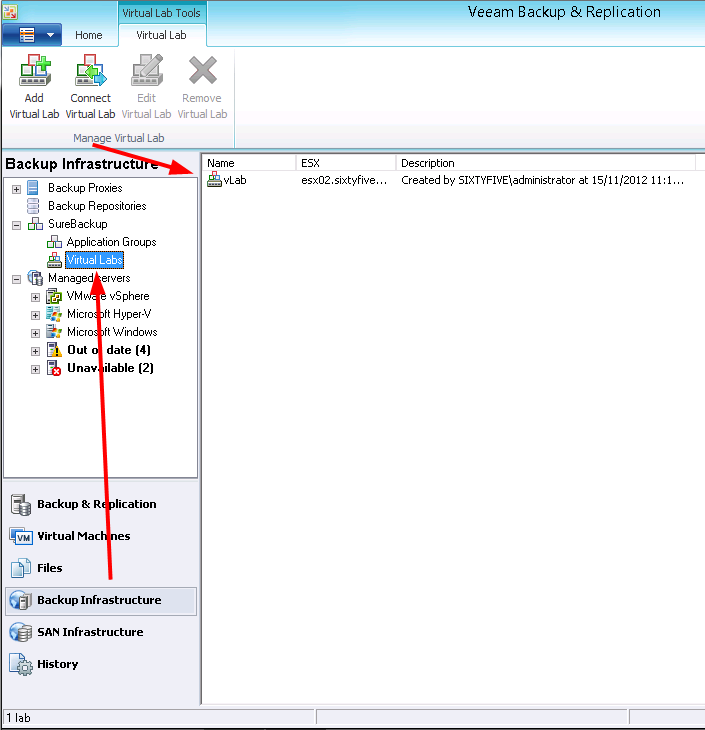 If you run a surebackup job or you run an U-AIR Wizard, Veeam will automatically add static routes on the Veeam Backup Server (VBS) or the machine running the U-AIR Wizard. You can see this in a console screen using the command "route print". 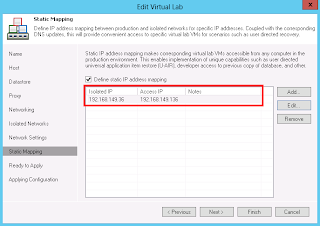 Veeam has added a static route saying that traffic for subnet 192.168.150.0/24 should be forwarded to 192.168.149.50 which is our vLab router interface 0. When the VBS wants to talk with 192.168.150.36, it will send a package to our vLab router and the traffic will be translated. 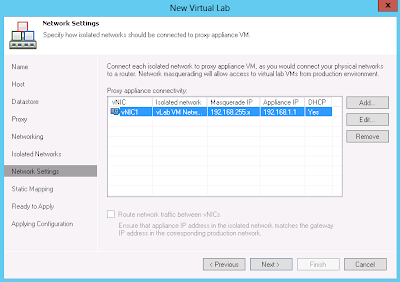 I've shown you how to configure the vLab router but lets see what happens underneath. If you have not read my previous post, please do so. So how is the marking set up? Well this is a bit tricky and I hope I am explaining it right. 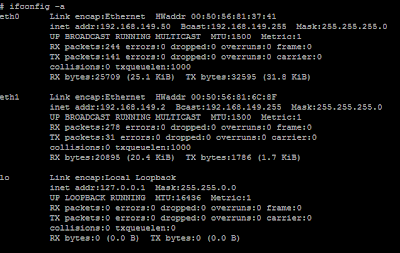 Then if we look at the ip routing tables we will see that the all the traffic should leave via interface 0 / eth0. As default gateway the production router is configured. If we look at the ip rules, we will see that an fwmark is set. It say that all trafic matching 0x2 with bitmask 0x2 should use an alternative table 2. You can see that 0x6/0x2 will now match 0x2/0x2 and so the routing table 2 is chosen. I am very interested on this topic. I setup the surebackup in the same production network. It works fine. 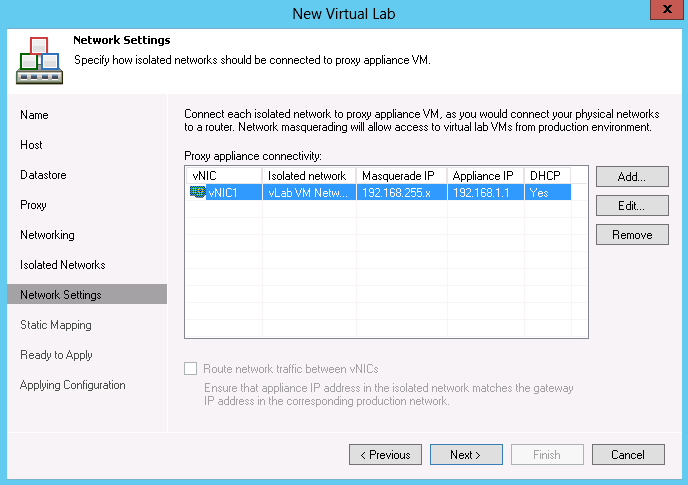 If I do it on different VLAN, it doesn't seem to work. my Veeam backup is sitting on 192.168.1.0/24 which is once of a production network. The surebackup running fine. Now, I want to use SureBackup on 192.168.9.0/24. It doesn't seem to work. Hi. I'm experiencing exactly what Daniel has noted. Even Veeam support hasn't been able to help me. I'm hoping a talented blogger like yourself knows the trick! Thank you very much, your blog give me Green Result for my vLAB with Veeam Backup and Virtual Lab. In picture 15/29 can you explain where the Appliance IP of 192.168.1.1 suddenly comes from? It's not an IP that is mentioned in any part of the blog earlier.